Skin Solutions - Acne & Razor Bump Formula is a one-of-a-kind formula, specially formulated to help with acne, as well as razor bumps, known as Pseudo Folliculitis Barbae (PFB). It is effective with ingrown hairs and skin irritations which can occur from waxing or laser hair removal. Since we do not use alcohol as our base, it will not burn, sting, or dry the skin on application. Blended with lightweight sunflower and sesame seed oils. If you're a nut for healthy skin, this is your body scrub. Plantlife's Bath Salt is imported from the pristine, cold, non-polluted water off the Northern Coast of France. This pure salt is hand harvested and sun dried in the 2000 year old Celtic tradition thus retaining over 84 vital trace minerals essential to our body. Our salt is blended with 100% pure Essential Oils and Epsom Salt to balance, calm and release tension in our body. Lavender Body & Bath Oil with Vitamin E, Apricot & Jojoba- 4 oz. Soothing for dry or sun chaffed skin. Apply to moist skin in shower or after bath while skin is still damp. 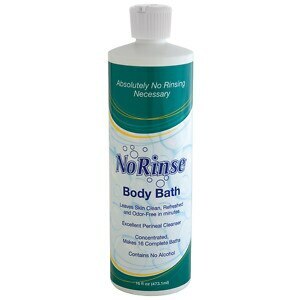 Can also be added to a warm drawn bath for a fragrant and soothing bathing experience. 4 oz.